The Delhi police have seized Rs one crore in cash from a BMW car in southwest Delhi's Vasant Vihar, officials said on Wednesday. Police said in view of the Lok Sabha elections, they have intensified patrolling in several intersections across the national capital. "On Tuesday, a police team was deputed at picket near a church on Poorvi Marg in Vasant Nagar area to check vehicles carrying cash and other prohibited articles in view of the forthcoming elections. 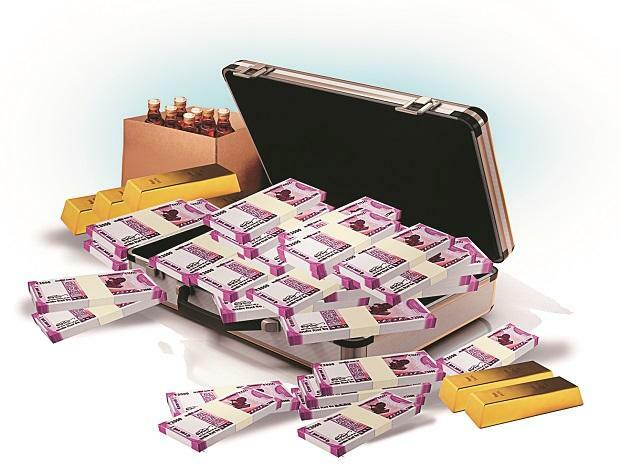 "During checking, they randomly stopped a BMW car and found cash amounting Rs one crore in it," Devender Arya, Deputy Commissioner of Police (southwest) said. Other agencies including the income tax department have been informed about the seizure, he added. The Lok Sabha polls, conducted in seven phases, will begin on April 11 and continue till May 19. Delhi will vote on May 12 and the overall results will be declared on May 23.